The photo dates to 2012. The house was razed a couple of years ago. Jonell Blitch notes that in the 1950’s this was a general store that sold dry goods and linens and home delivery groceries. You could run monthly tabs to buy needed supplies. [It was] owned and operated by Jimmy and Betty Blitch. I believe the structure is earlier, though, likely dating to the early 20th century. The first retreat of the Midway colonists was located about fifteen miles inland, on higher and sandier ground. Initially, it was known as Sand Hills. Midway member Andrew Walthour built the first dwelling in the area in 1795 and was soon joined by a multitude of others. By 1800 the settlement became more permanent, and the name was changed to Walthourville. 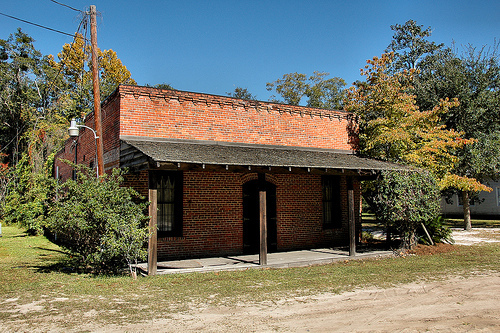 In 1820 a Union building was erected, since the retreat population were still congregants of Midway. At first, they went back and forth to the main church for baptisms and communion, but eventually the congregation at Walthourville was established. A new church was built circa 1845, and in 1855 they officially became Presbyterians. At this time they were given independence from Midway, but still maintained a spiritual bond. 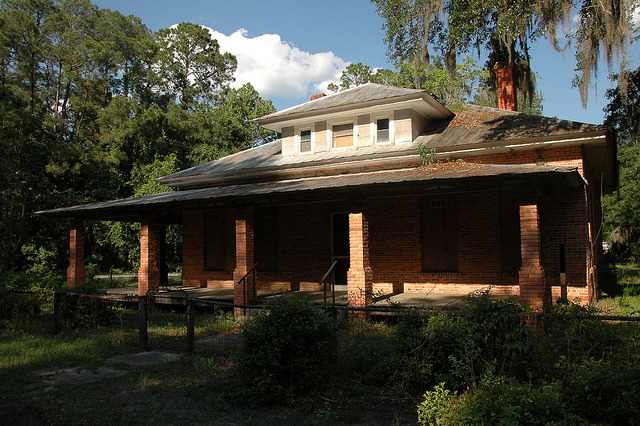 They were vastly successful as a congregation, being the second largest in the Savannah presbytery and the largest in terms of benevolent gifts. The journal of Judge John LeConte Harden, who spent much of his boyhood in the 1840s in Walthourville, fondly recalled a place called Tea Grove Farms. It was one of the most prosperous in the county, and quite early for a commercial farm; everything from tea, which was in cultivation in several locations around Liberty County at the time, to peaches, pears, apples and scuppernongs was produced at Tea Grove. The descendants of the Midway congregation who now made Walthourville their home were quite industrious and also grew sugar cane and were pioneers in the Southern naval stores industry. Fire destroyed the 1845 church and the present Walthourville Presbyterian Church was built in 1877-78. 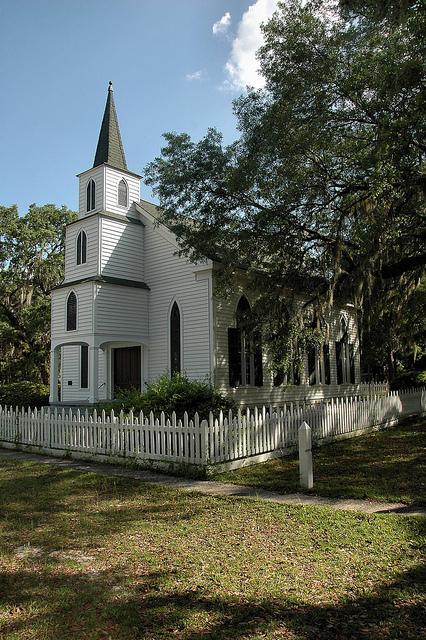 (The church building itself is actually located in Long County, just over the Liberty County line, but is associated with Liberty County and Midway and therefore included here). 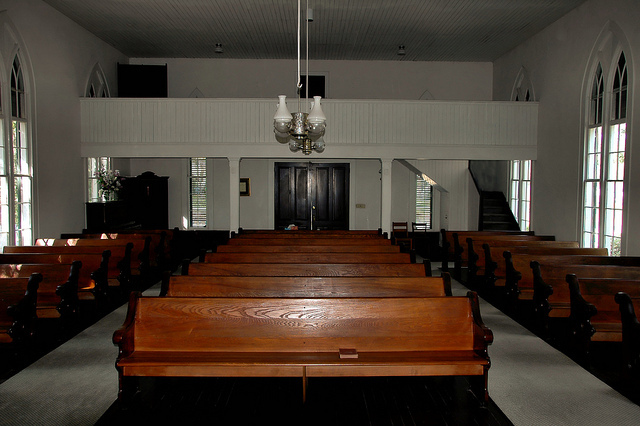 Though the present church was built after emancipation, the slave gallery was retained in the architecture. I’m not sure if this was just a nod to the past, or simply to accommodate larger crowds from time to time.